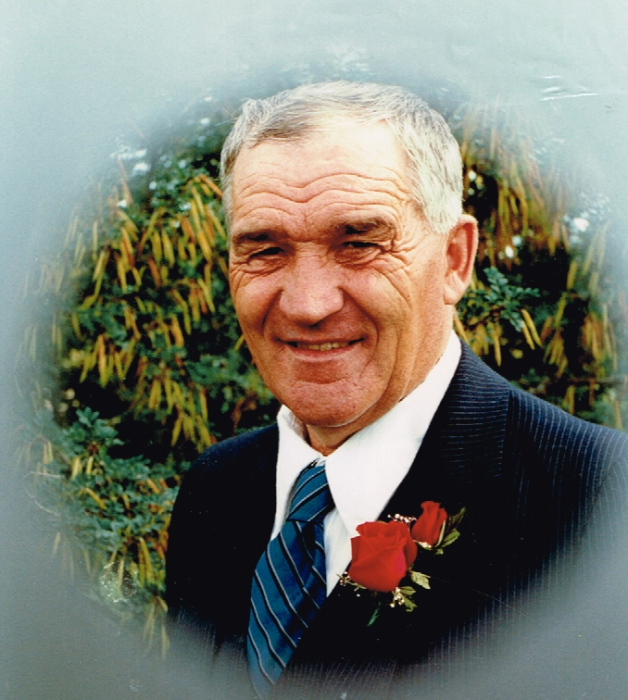 Obituary for Joseph N. Cloutier | Mission View Funeral Chapel Ltd.
On Thursday, June 28th, 2018, Joseph Noe Cloutier of Lac La Biche, AB passed away at the Cadzow Health Care Centre, in Lac La Biche at the age of 93 years 03 months. Joe is survived by his wife, Aline (married 71 years and 10 mos. ), children: Daniel (Rae) Cloutier, Guy (Elaine) Cloutier, Muriel (Harry) Mueller, Johanne (Bill) Sallee, Gerald (Donna) Cloutier, Joyce (Michael) Tratch, Doris (Albert) Selina, and Lee-Ann Gordon, grandchildren: Jody (Bobi-Jo), Jessica (Steph), Jennifer, Tracy (Todd), Renee (Philip), Nadine (Tyler), Brandon, Monika, Chad (Carlene), Natalie, Kyle (Sabrina), Ian, Cody, and Perry, great grandchildren: Alyssa, Hayes, Kaitlan, Amy, Gage, Dante, Lorenzo, Carter, Chloe, daughter-in-law: Josie, sisters: Therese Schaub and Jeanne Roy, brother: Louis (Irene) Cloutier, sisters-in-law Amanda Cloutier and Celine Cloutier, numerous nieces, nephews, cousins & friends. Joe is predeceased by his son: Harvey Cloutier, grandson: Owen Cloutier, parents: Ephraim & Emma Cloutier, brothers: Leo, Emile, George, Andre, Henri, and Paul, sisters: Alice Schaub, and Ida Dribnenki; sisters-in-laws Mary Cloutier, Noella Cloutier, Vina Cloutier, and Phyllis Cloutier, brothers-in-law: Thomas Schaub, Peter Dribnenki, Philip Schaub and Ernest Roy. A Prayer Service was held on Wednesday, July 4, 2018 at 8:00 p.m. at St. Catherine’s Catholic Church in Lac La Biche, AB with Fr. Aureus Manjares officiating. Honourary Pallbearers were Jessica Garand, Renee Giammaroli. Pallbearers were Brandon Cloutier, Ian Cloutier, Jody Cloutier, Kyle Gordon, Chad Marko, Jennifer Mueller, Tracy Panchuk. In lieu of flowers donations to the Lac La Biche Regional Health Foundation, Box 1533, Lac La Biche AB T0A 2C0 https://www.llbhealth.com/donate or the Lac La Biche Resident Council “Recreation Fund” c/o Box 507 Lac La Biche, AB T0A 2C0 would be appreciated.